Christmas fireplace and stocking colour matching page. 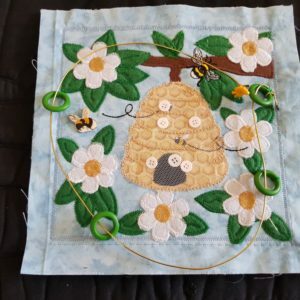 This is an 8×8 quiet book page stitched completely in the hoop with 2 hoopings. 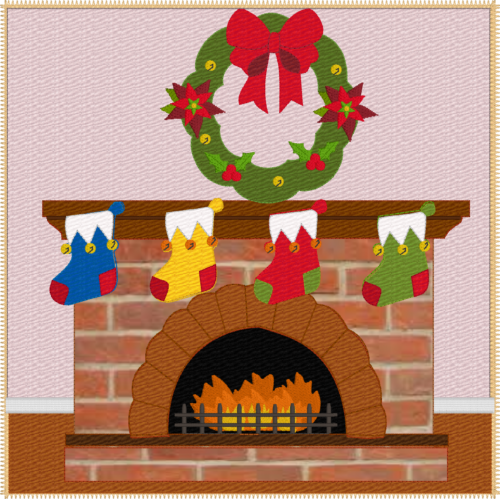 This page teaches children colour matching by placing the correct colour stocking on the fireplace on the correct colour snaps and shape. 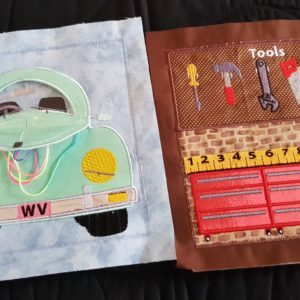 This file comes with SVG files for those wanting to use cutting machines. 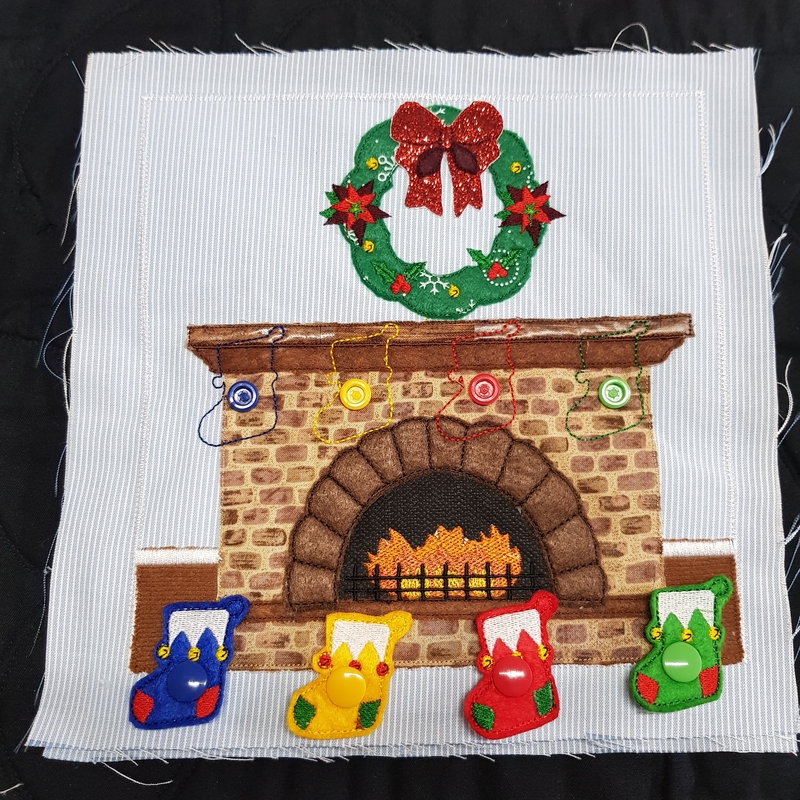 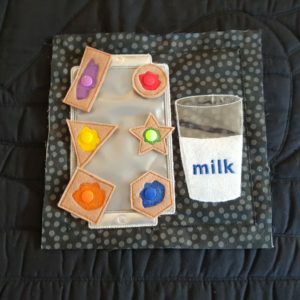 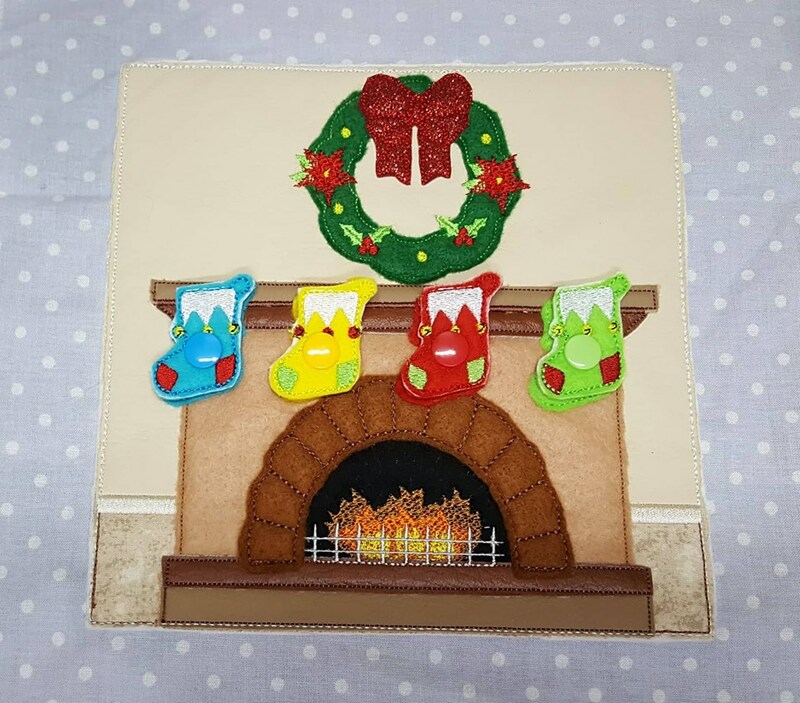 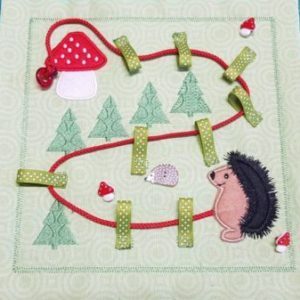 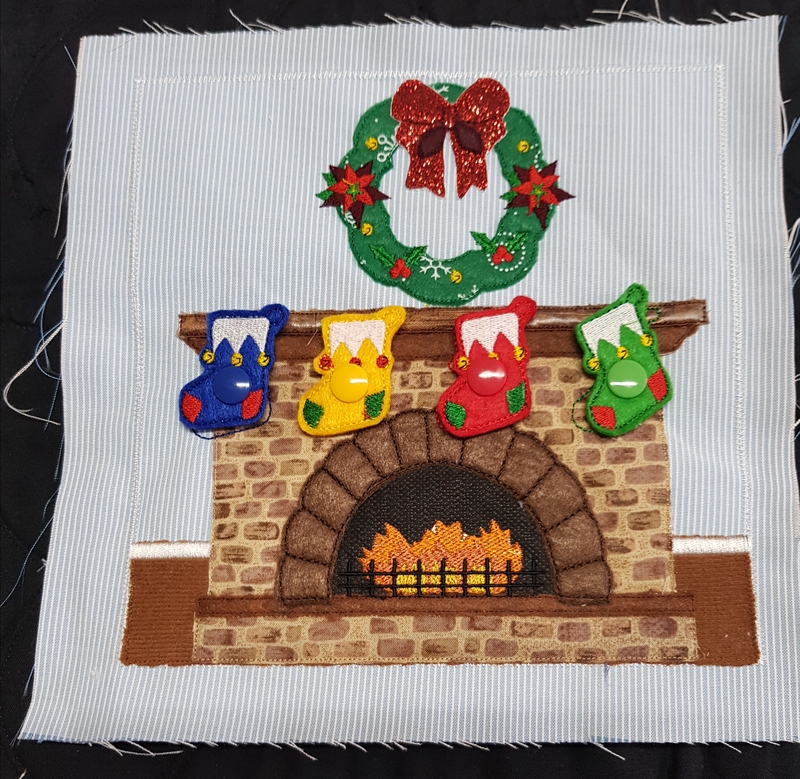 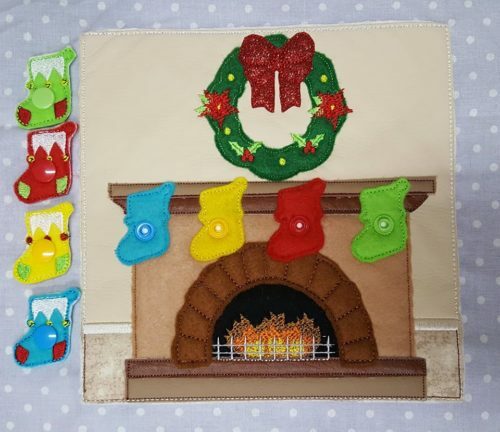 Using the SVG files and a standard sewing machine to stitch the background panels and the fireplace the felties and remainder of the page can be stitched in a 4×4 hoop.